I confess, I have a thing for Pop Culture. Perhaps because it's fun or because its a nostalgic way to look at things but either way I am beginning a new series called Pop Culture Tuesdays. Posts will include television shows, films, trivia, fashion, books, and all sorts of things based off of Pop Culture. But when it comes to fashion I will always bring it back to vintage, just in a more off beat sort of way. A few posts ago I shared with you a book selection based on the film by the same name, Pretty in Pink. I heard that the ending of the film was changed due to audience testing and that Andie was really supposed to end up with her best friend Duckie Dale. Once I read the book and looked at those last words where they both twirled around in a blur of pink my heart just leapt. 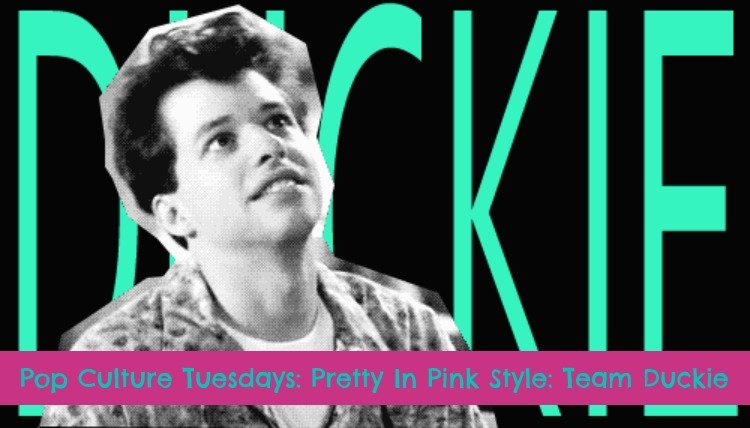 I always felt like Pretty in Pink was the one John Hughes/Molly Ringwald collaboration that just didn't mesh well. The entire cast was perfect except Molly's character of Andie seemed depressed and sour all the time and Blaine? I mean Duckie was right. Is that a name of a major appliance? I am not saying poor kids cannot fall in love with rich kids and ride off to the sunset of life but Blaine and Andi never made any sense to me. I'm team Duckie Dale all the way! So as an ode to Mr. Dale and his overabundance of coolness, I present to you my outfit based on Duckie and Pretty in Pink. A few outtakes from the World's Fair Anniversary Festival. You can see the vlog I created on this event HERE. This is so fun! I also think she should have ended up with Duckie. I remember being super disappointed when I first saw the movie. You're not alone in the slightest! 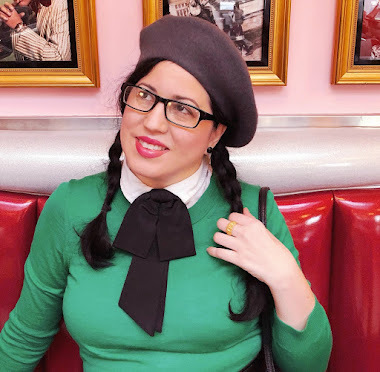 I love Pop Culture, too, from all eras, but have especially soft spot in my heart from those references I'm old enough to remember when they were au courant and Pretty in Pink is definitely one of them. This is so awesome! Because of your great review of the Pretty In Pink book I bought a copy, thank you! I knew about the original ending before reading the book but could not see Duckie being the man for Andie. He seemed so child like and refused to grow up, he did 'nt really have any goals in life. Now after reading the book (I like the book more then the movie). I am 100% team Duckie. When I was a teen I was such a Molly girl I would seek out TV interviews or magazine articles all about Molly Ringwald. I adored her so much I even dyed my hair red and bobbed it, this was before youtube and the internet. My high school library had back issues of magazines from the 1980's. This brought back so many good memories!